Tranquility - Assists with Removing Energy Blocks, Releasing Limitation & Old Wounds; Aids in Elevating Consciousness & Fosters Seeing from a Higher Perspective; Offers Grounding & Protection; Encourages Healing, Intuition, Harmony, Peace, Inner Strength & Abundance. 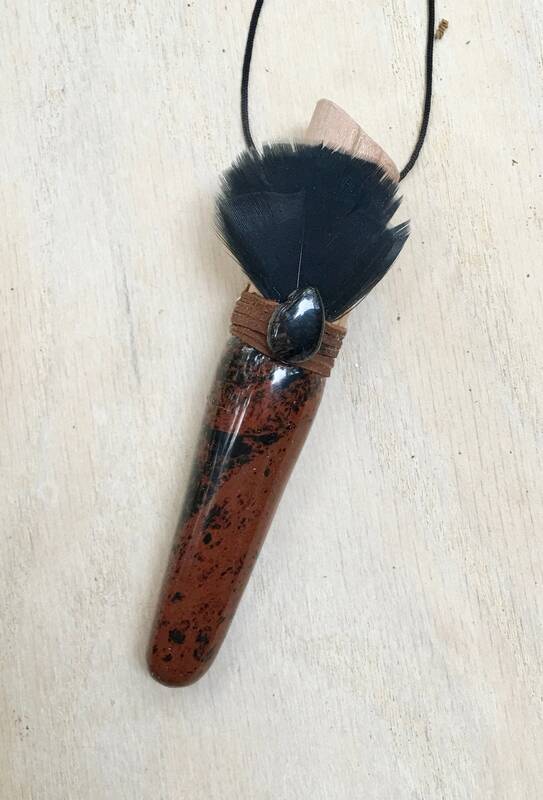 Mahogany Obsidian - is often used to remove energy blockages, including psychic cords, that sap one's inner strength. It is also used for protection from psychic attacks. It is said to strengthen the aura, further protecting the person. As a root chakra stone, is excellent for stabilizing and grounding for lightwork or simply for improvement of life in general. is also used to decrease feelings of unworthiness or mental / emotional limitations. 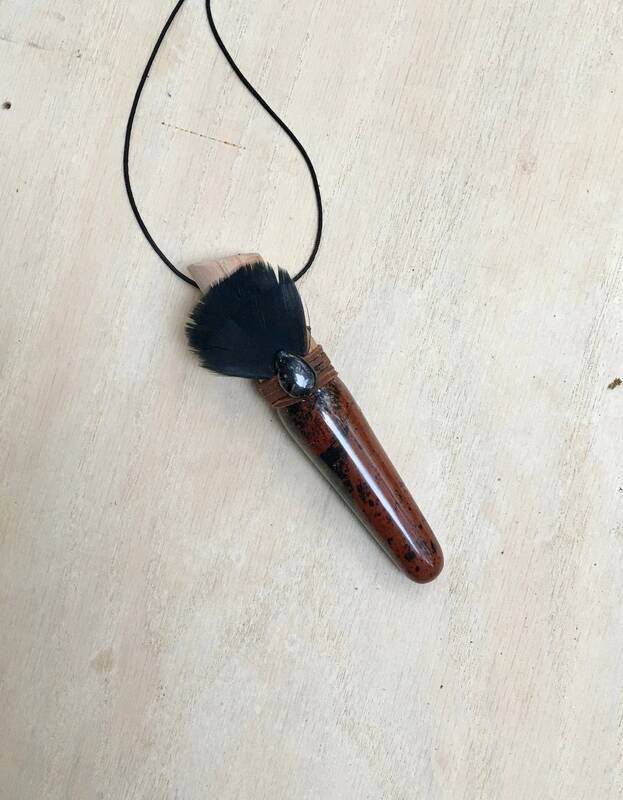 It is particularly used to assist in healing humiliation and abuse that has formed patterns at any mind. Black Tourmalated Quartz – Enhances intuition. Assists with making decisions. powerful healing energy that works together to restore harmony and tranquility. Clear quartz helps to elevate your consciousness and bring clarity into your life by working as an amplifier, which makes it one of the most powerful tools for crystal healing. The black tourmaline also works to reconnect you to the Earth with its grounding properties. Bringing these incredible healing powers together, cleansing and purifying energy fields. 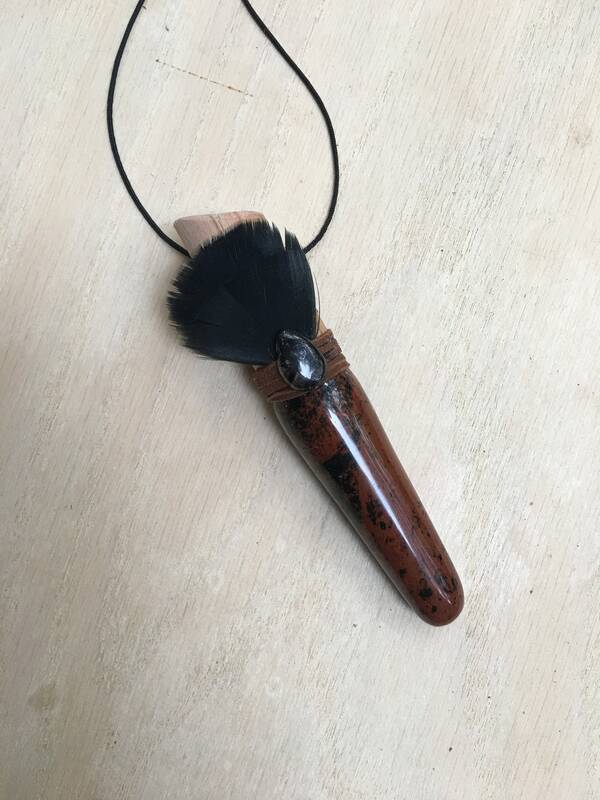 Excellent for absorbing and transmuting any negative energy in your body or environment. 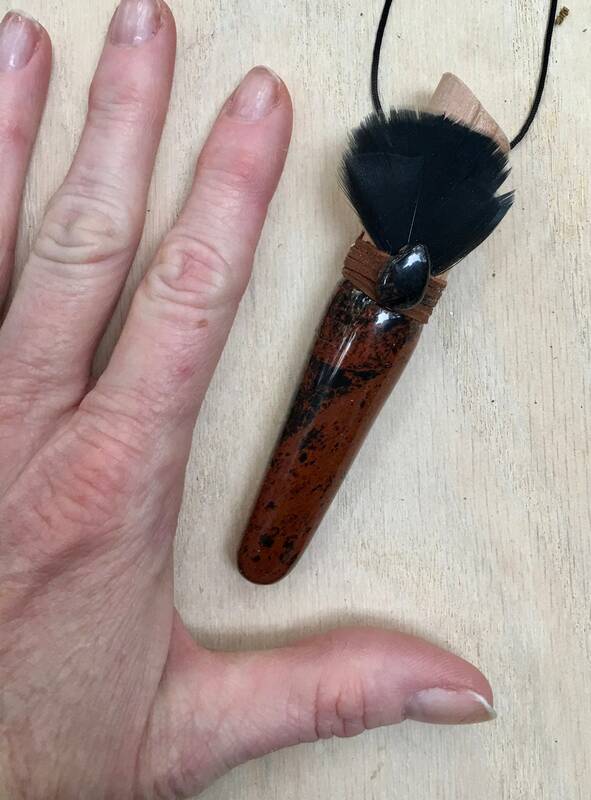 5 inches long;Mahogany Obsidian 2.5 inches.